Song Power Commemorating Dr. Martin Luther King, Jr. Songs will be taught in a call and response fashion. Audience participation invited. All voices welcome. Some songs will be accompanied by instruments. 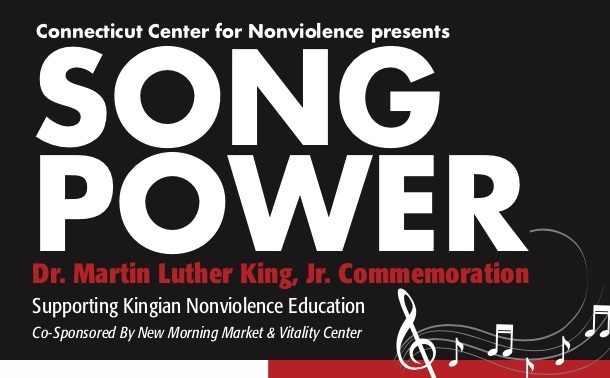 Freedom Songs both historic and contemporary will be led and shared by Victoria Christgau, vocalist and Founder/Executive Director of the CT Center for Nonviolence, Peace is Possible Chorus and Members of the Northend Church of Christ Hartford, CT. Guest musicians and presenters will join us. Craft Vendors, Networking and refreshments will be available.